Welcome to Graiguenamanagh, the Village of the Monks, located in County Kilkenny, in the sunny south east of Ireland. 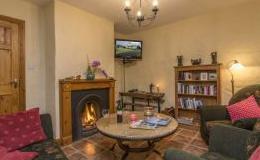 Mount Brandon Self Catering Cottages are some of the South-East’s most attractive and best-located holiday homes in Co. Kilkenny. We are the rural idyll at the edge of town. 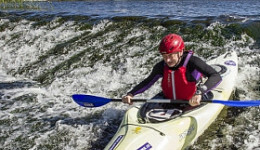 Our two holiday cottages are located just outside of Graiguenamanagh only 5 minutes’ walk from the beautiful river Barrow – ideal for hillwalking, mountain biking, canoeing and kayaking as well as other river-based activities such as swimming or indeed pike and coarse fishing. With the new on-site pottery studio and school up and running we invite you to try your hand at hand-building or indeed have a go at the wheel. It’s tremendous fun and a great way of spending a few hours learning a new skill! 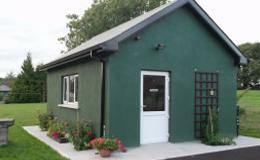 Book your Self Catering Cottage today! Fuair an tionscnamh seo fóir-dheontas ó Chomhpháirtíocht Forbartha Chontae Cheatharlach Teo, Clár Forbartha Tuaithe atá maoinithe ag Rialtas na hÉireann faoi Chlár Forbartha Tuaithe Éireann 2007-2013 agus ag Ciste Talamhaíochta na hEorpa d’Fhorbairt Tuaithe: infheistiú na hEorpa i Limistéir Tuaithe. This project received grant aid from Carlow County Development Partnership Ltd under the Rural Development Programme Ireland 2007-2013 which is financed by the Irish Government and by the European Agricultural Fund for Rural Development: Europe investing in Rural Areas.